Hiya Neighbor! How are you today? Today is a special day, because today we’re going to talk about Mr. Rogers. Fun fact: all the music on Mr. Rogers was played live … the piano player is just out of the frame noodling around! Anyway, I was already a puddle watching that, because honestly, Mr. Rogers is just the greatest guy to ever walk the planet. He always cited this moment as one of his own favorites on his show, and it’s one of mine, as well (right up there with the visit to the Crayola crayon factory). Did you see that? How, as soon as Mr. Rogers laid eyes on Jeffrey, he leapt out of his seat and onto the stage? Did you see that smile? If you’re not crying, then you can exit stage left to attempt to locate your heart, Scrooge McMisery. Mr. Rogers passed away from cancer in 2003, but Jeffrey was at his Pittsburg memorial service. And while his show is no longer on in reruns, just this month Mr. Rogers’ Neighborhood became available on Netflix, bringing his sweet-yet-honest take on the wonder of childhood to a whole new generation. I know I can’t wait to introduce Freddie to it (and it’s no secret that my kid is named after three of my favorite Freds: my grandfather, Freddie Mercury, and Mr. Fred Rogers). Jeffrey grew up to become an advocate for people with disabilities and chaired Madison, WI’s Commission on People With Disabilities. He passed away from complications related to his condition in 2007, at the age of 36. Why am I sharing this? It’s not to make you cry, though sometimes we all need a good one of those. No, I’m sharing it because I think no one in television has done more to teach us about gratitude, about grace, about loving your neighbor and finding the joy in small moments quite like Mr. Rogers. There are days when I get bogged down by minutia, or distracted, or frustrated. There are days when I stop remembering what life is really all about. And we can’t stop those days from coming. But when they arrive, I’m going to try to remember Jeffrey and Mr Rogers singing “It’s You I Like,” and the sight of a 71 year old man lighting up and leaping on stage at the sight of his neighbor. To cynics and parodists, Mister Rogers’ Neighborhood was a namby-pamby zone of pint-size feel-goodism, and Mister Rogers himself a wimpy Stuart Smalley for tots. But part of what made Mister Rogers’ Neighborhood great and unique is that, for all its beautiful days in the neighborhood, it was also the darkest work of popular culture made for preschoolers since perhaps the Brothers Grimm. Mister Rogers was softer than anyone else in children’s TV because so many of the messages he had to impart were harder. That your parents might someday decide not to live together anymore. That dogs and guppies and people all someday will die. That sometimes you will feel ashamed and other times you feel so mad you will want to bite someone. He even calmed fears that may seem silly, but to a child are real and consuming — like being afraid to take a bath because you might be sucked down the pipes. Mister Rogers gently sang, “You can never go down/ Can never go down/ Can never go down the drain.” … Mister Rogers spoke softly, but he never soft-pedaled. And he knew how to be both compassionate and authoritative. 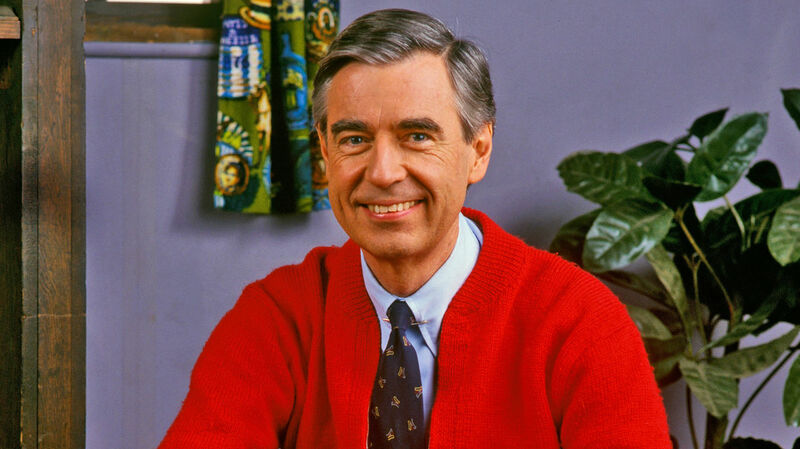 He was “Mister” Rogers, after all, never “Fred.” He wore a tie even when dressed down. He also respected children’s intelligence, and while he used the Land of Make-Believe to teach lessons, he never puffed up kids with false promises of fantasy. There is no more un-Disneyfied sentiment in children’s pop culture than the title of his song Wishes Don’t Make Things Come True.